TALLAHASSEE – Gov. 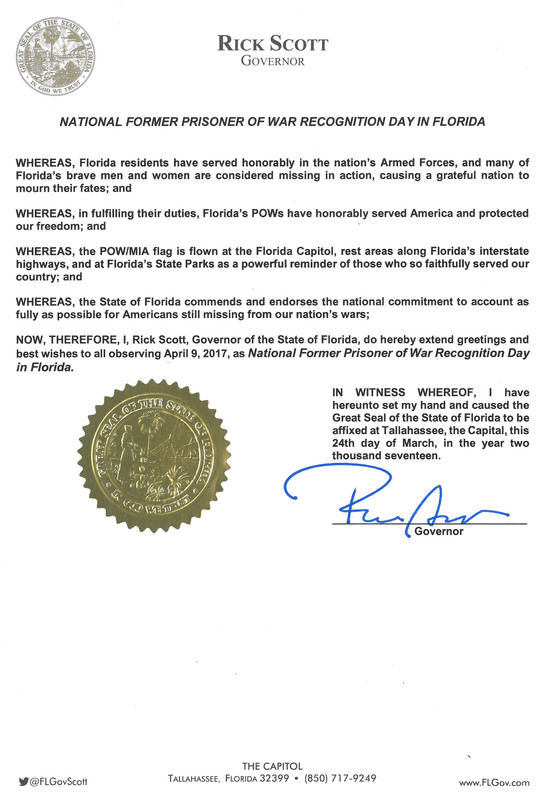 Rick Scott signed a proclamation March 24 honoring Florida’s former Prisoners of War. 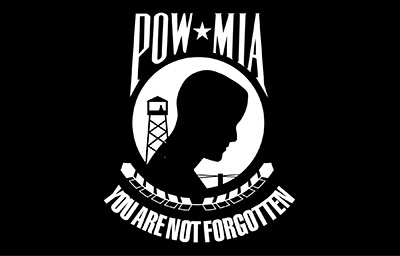 April 9 is designated by Congress as the Presidentially proclaimed observance of National Former POW Recognition Day. On April 9, 1942, United States forces surrendered on the Bataan Peninsula, beginning the Bataan Death March. The POW/MIA flag is flown daily at the Florida Capitol, rest areas along Florida’s interstate highways, and at Florida’s State Parks as a reminder of those who so faithfully served our nation.